The Hull City Supporters Trust (HCST) Board would like to explain to Trust members and the wider Hull City fan base the reason behind our non-representation at the Supporters Committee meeting being hosted by Hull City AFC on Monday 29th October, despite having had Director attendance at every previous meeting. A meeting was arranged in June between 2 Senior Club officials and 2 members of the HCST Board, during which the details of the Club’s concerns was discussed and even though the HCST representatives did not agree with the allegations documented, as way of compromise for an undefined period of time, it was suggested that the Senior HCST Board member named should not represent HCST with matters directly hosted by the Club. A separate internal investigation was conducted by relevant members of the HCST Board which established there was ‘no case to answer’ by the Senior Board Member named. Details of the allegations and subsequent investigation were forwarded to representatives of Supporters Direct, (of which HCST are a full member), who confirmed that the HCST Board findings were correct, based on the evidence provided. In an attempt to find a suitable solution to both parties, a separate channel of communication was established directly between a Senior Club Official and Richard Mathers, (HCST Secretary), but despite several calls and e-mail exchanges, the Club have refused the offer of compromise by HCST to enable representation by other Trust Directors and/or Secretary and have insisted that the Senior HCST Board member was removed from their role. 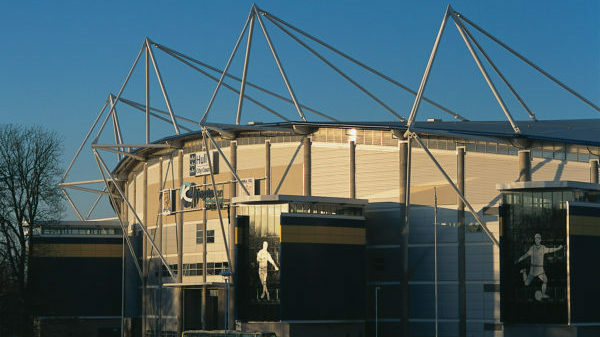 Eventually an e-mail was received by HCST from a Senior Club Official on August 17th, which included an attached document, (dated August 15th and signed ‘For and Behalf of Hull City’), that stated the Club would no longer continue in ‘formal dialogue’ with HCST unless the Trust Board ‘reconsidered its position’. The matter was escalated by HCST to senior management of the Football Supporters Federation, (FSF), Supporters Direct, (SD), and the English Football League, (EFL), all of whom have recognised the efforts made by HCST find a solution to the issue and further that the compromise offer was fair and balanced. HCST have twice raised documented concerns with the Club on various matters affecting or on behalf of Trust Members and Hull City fans on August 15th, (2 days prior to the Club retracting formal contact), and also on 6th September. Unfortunately, the Club have failed to acknowledge or reply to these concerns, both of which have been shared with the national organisations named above. HCST were informed by several sources almost 3 weeks ago that e-mails had been sent out by the Club to supporter groups/individuals who have been invited to attend the Supporters Committee meeting on Monday 29th October. Unsurprisingly, HCST have not received such an e-mail, despite being the largest membership supporter’s organisation connected to Hull City AFC and also the most proactive representatives at the 2017/18 Supporters Committee meetings. A further phone call was made to a Senior Club Official as recently as Thursday 25th October to re-consider the compromise offered for HCST representation, but this was again declined, with a reiteration that the Senior HCST Director needed to be removed from their role for the Club to formally engage with the Trust again. It is noted that the Club have stated that only 2 Supporters Committee meetings will take place during the 2018/19 season, (despite having arranged 4 last season), along with a newly formed committee of stand representatives, both of which go against the recommendations made by the Football Supporters Federation in their meeting with the Club in June. It is hard therefore, not to conclude that this is a continued and deliberate delaying tactic by the Club to avoid meaningful dialogue on some of the major issues that have upset thousands of Hull City supporters in recent years, which is increasingly evident by the declining attendance figures at home matches. Whilst disappointed with the current stance taken by the club, we wish to remind our members, (and the wider Hull City fan base), that HCST is an independent organisation, fully affiliated to both the FSF and SD, (of which we are grateful for their guidance and feedback in recent months), and cannot allow the Club to dictate its Board structure and operation. We are hopeful that the forthcoming Supporters Committee meetings prove to be more productive to the newly elected attendees than was evident from the meetings last season, and result in genuine actions and resolutions of the numerous, well documented issues that continue to affect Hull City supporters. Finally, HCST look forward to working positively with any new, responsible owners at the Club and remain committed to representing Trust Members and the wider Hull City fan base in the near and long term future.